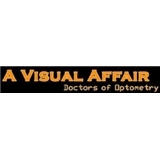 A Visual Affair (Washington) - Book Appointment Online! The visit was exceptional. From the moment I walked in to the moment I left, I felt taken care off. The consultation was thourough and very informational. The team knows their craft and it just makes the whole proccess that much easier. I have hight costumer service standards and this office surpassed them!